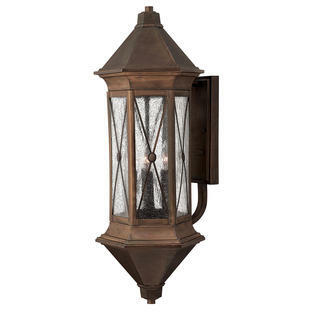 This elegant lantern in the Quincy collection uses a traditional glass bell-shaped design in die cast aluminium. 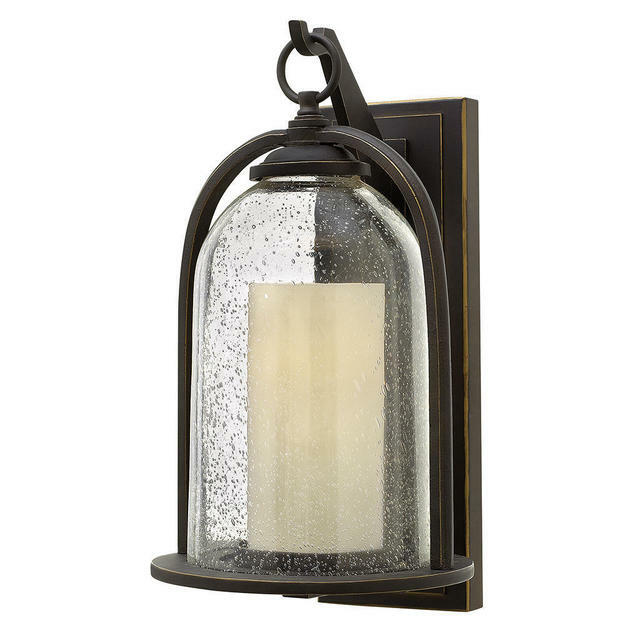 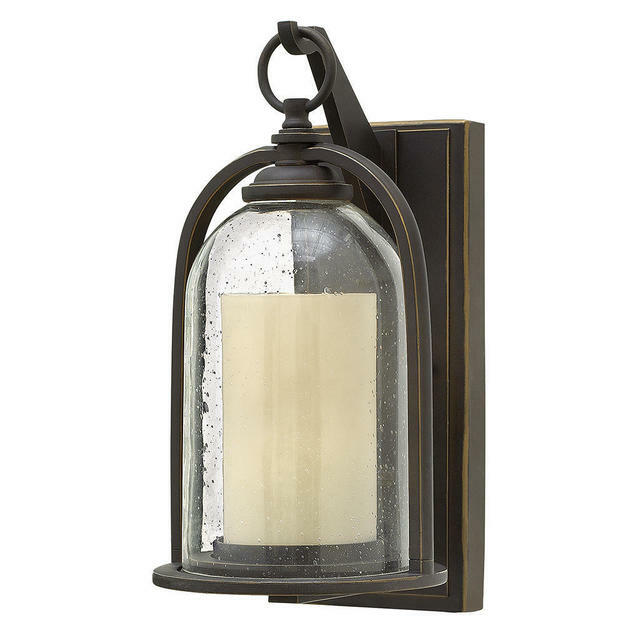 The lantern is in an oil rubbed bronze finish, the outer glass has speckled, seed detail, while the cylinder inside gives the look of a "faux" candle, which adds to it's nostalgic feel. 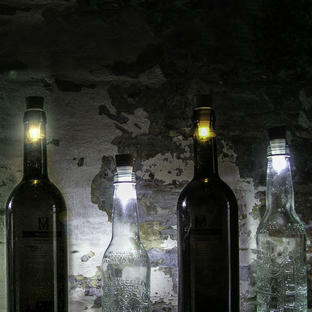 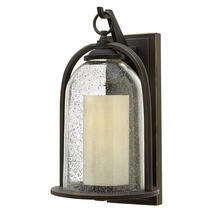 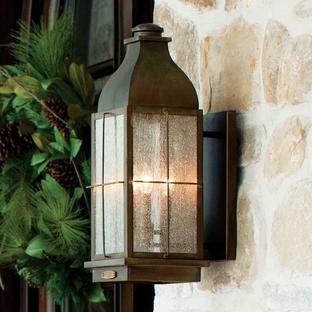 Also available in the Quincy range is a hanging lantern and pedestal lantern.